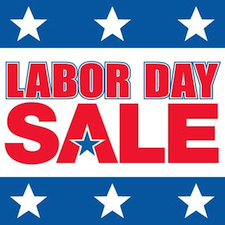 Ayopa Games Launches Labor Day Sale! T o celebrate the Labor Day holiday in the U.S., we have put some of our hit games on sale! Smash-hit word game W.E.L.D.E.R., werewolf adventure-puzzler MacGuffin’s Curse, comedy RPG Dungeon Crawlers (Mac only), light-hearted strategy game Mailmen, and 3rd-person shooter M.U.S.E. are all reduced. Here are the amazing low price details which are only available until Tuesday, September 4! – W.E.L.D.E.R. iOS $2.99 now just $0.99! – W.E.L.D.E.R. Mac $5.99 now just $1.99! – MacGuffin’s Curse iOS $4.99 now just $1.99! – MacGuffin’s Curse Mac $6.99 now just $2.99! – Dungeon Crawlers Mac $4.99 now just $1.99! – Mailmen iOS $1.99 now just $0.99! – Mailmen Mac $4.99 now just $1.99! – M.U.S.E. iOS $2.99 now just $0.99!